Remember the start. Remember the stars. Remember the finish. The third period? That, you might want to forget. 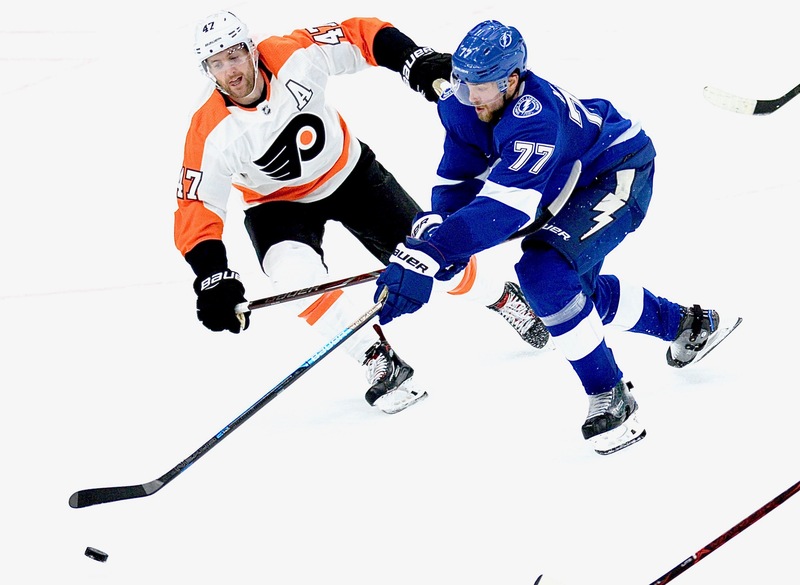 The Tampa Bay Lightning was involved in one of those top-of-the-castle, final-reel, swordfight duels Thursday night and survived, 6-5 in overtime, against the Philadelphia Flyers. 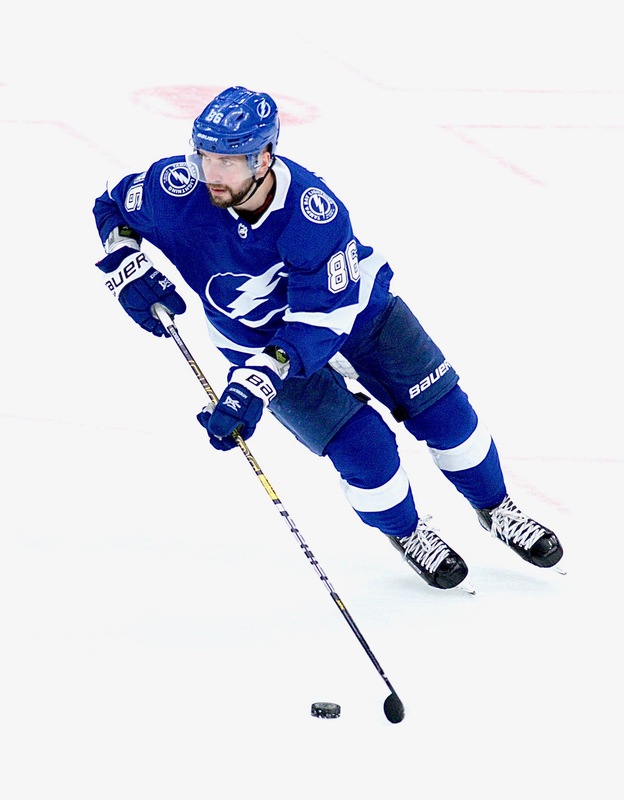 Alex Killorn scored the winner 18 seconds into overtime, finishing a game that featured the Bolts' headliners. 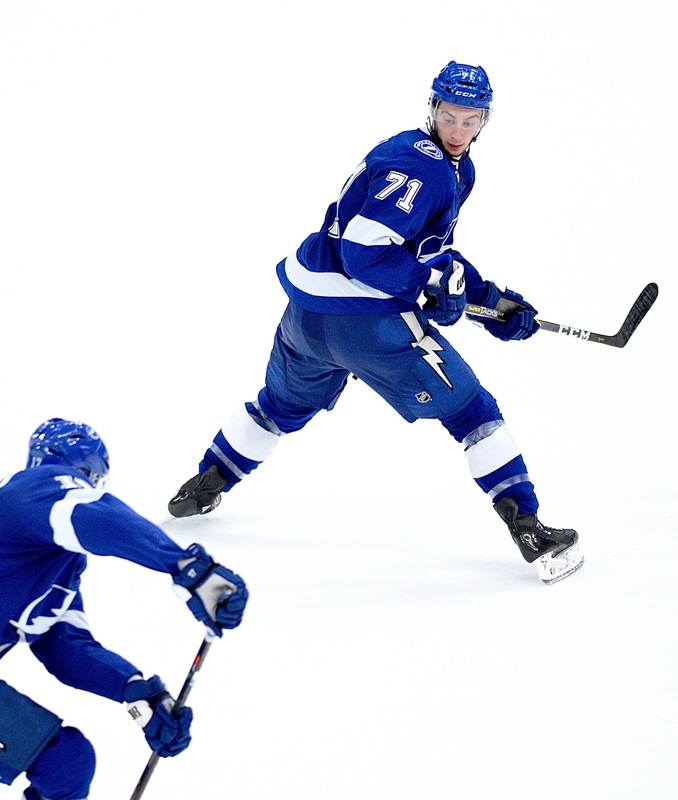 Steven Stamkos scored two goals, and Nikita Kucherov, Brayden Point and Tyler Johnson also scored. But despite the fireworks, the Bolts blew a 5-2 lead in the third period and saw the Flyers force overtime. It was almost an identical game as the first time the Bolts faced Philadelphia, blew a 5-1 lead and won in overtime on a goal by Anthony Cirelli. 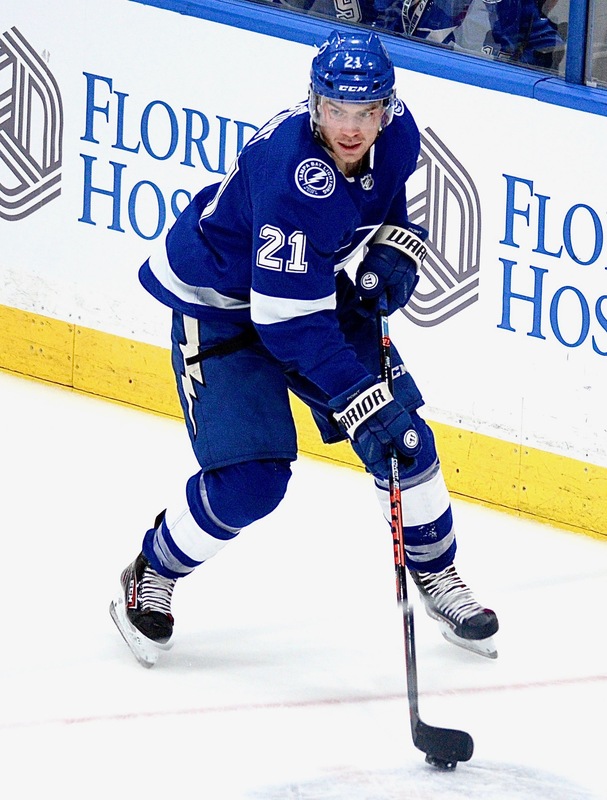 This time, Cirelli made the steal and a nice drop pass to Killorn for the winner. The Lightning has scored points in 13 straight games. They are 15-1-1 in their last 17 games. "The guy you're upset for is the goaltender," Lightning coach Jon Cooper sad. "He's really the unsung hero. He always gets a lot of praise. When you win other games when you played solid defensively, you really get tapped on the back. It's fortunate that we regrouped after and found a way." 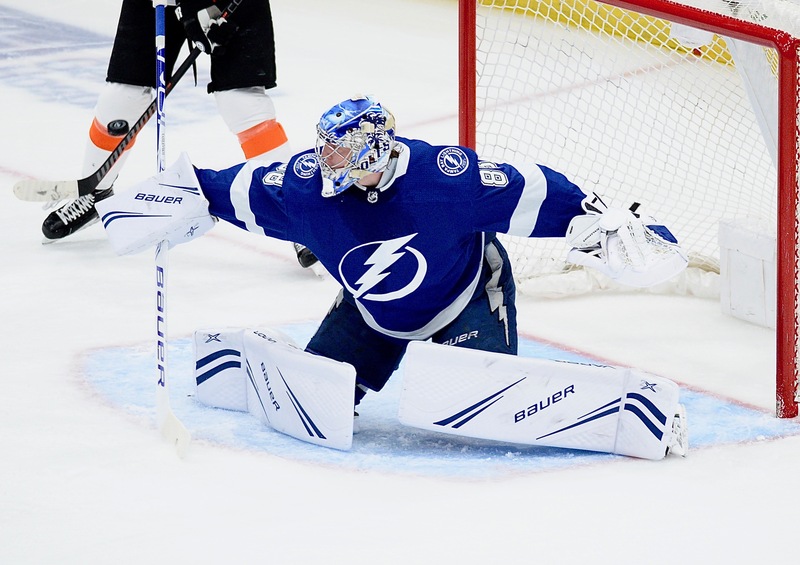 Goaltender Andrei Vasilevskiy ran his record to 4-0-1 since returning from his injury. He stopped 28 of 33 shots. "This is going to be one of those wins where you're more disappointed than you're happy," said Stamkos, who scored his 21st and 22nd goals. "It's tough to get two points in this league, so we'll certainly take it and continue the run that we're on. The message is that there is a lot to be shown tomorrow that we'll improve on like how we stuck with them once they did tie it. That's not the way we go about our business in this room with how things have gone this year. We'll look to correct some things." The Bolts are now 29-7-2 on the season. And statistically, the Bolts are lighting up the league. Consider: Entering Thursday night's game, Kucherov was second in the league in points. Point was 11th in goals and Stamkos 13th (they're now tied). Ryan McDonagh was tied for second in plus-minus. Vasilevskiy was second in save percentage. 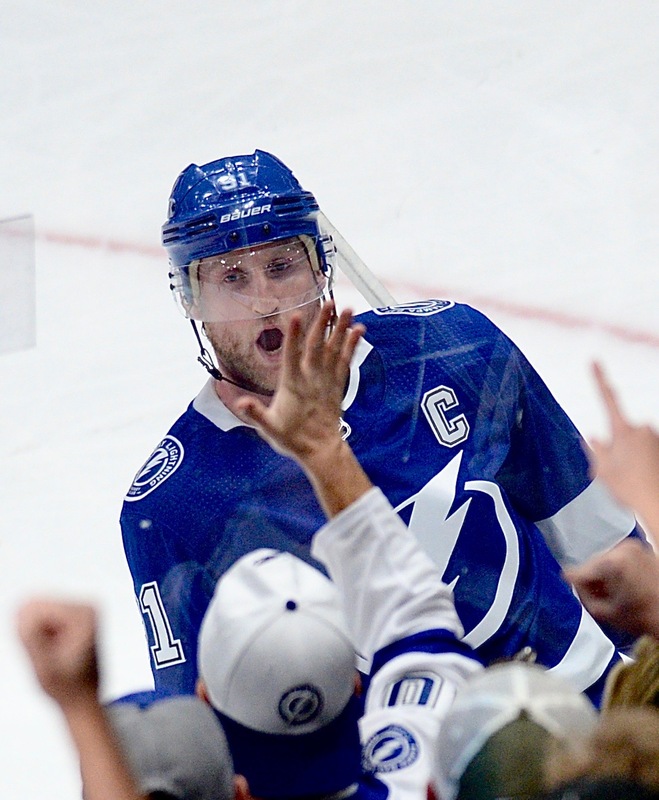 Most of all, there has been Stamkos, who now has a league-high 14 goals in December, his high for a month. because he has the ability to do that and he can sniff out offensive situations. There's certain guys and every team has one or two of them, and we have another few of them. Pucks have eyes for him." As for Thursday night, think of it as an adventure movie. The team had its share of perils, but it won in the end. "Obviously, there are things (we need) to learn from it," Point said. "We did what we came here to do. It was ugly for sure. There were five or 10 minutes where they were taking it to us." The Bolts have won nine of their last 10 games at home. They play at Amalie Arena again Saturday night against Montreal. The puck is scheduled to drop at 7 p.m.
Wow some of those quotes make this team sound like a buc team that once chased perfection. If that is what is happening in the locker room of the Lightning hold on to your hats its going to be a great ride! It is. I like the perspective of this team. Most teams would hide behind the win, you know? Previous post: Is there a leader among the Tampa Bay Bucs?